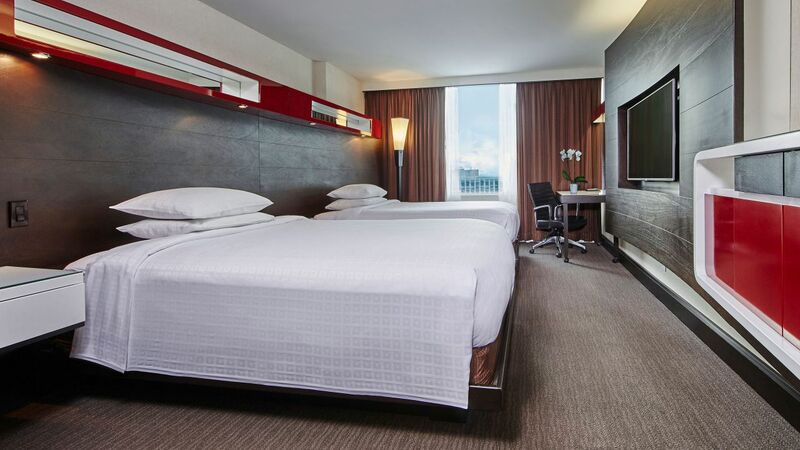 Stay connected and productive when you travel to our downtown Toronto hotel. Our sophisticated accommodations were created specifically with the modern traveler in mind. Discover spectacular views of downtown or the CN Tower and enjoy wonderful amenities in our contemporary guestrooms and suites. All of our rooms feature our pillow-top Hyatt Grand Beds®, ergonomic workstations with complimentary Wi-Fi, 47" TV. 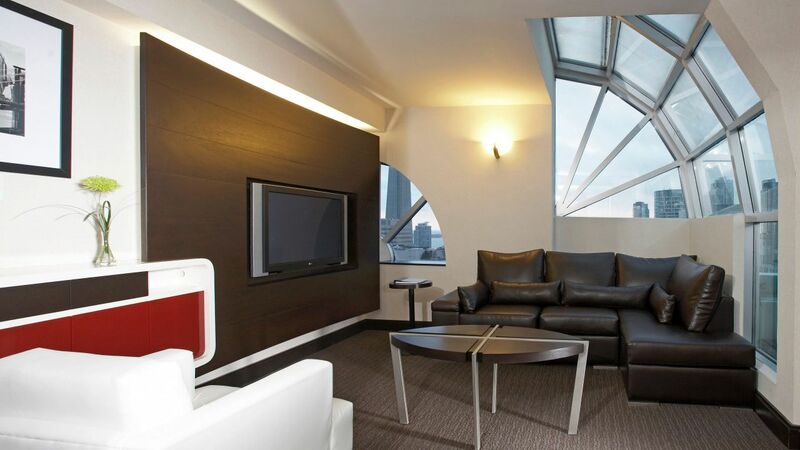 Enjoy luxurious perks when you book one of our Deluxe Suites for your Toronto accommodations. Ideal for business travelers wanting to conduct meetings in the privacy of their room or for families traveling on an extended stay, these Toronto Ontario accommodations feature the amenities of a standard guest room, including one king-sized Hyatt Grand Bed®, and a connecting parlour with wet bar and seating for six to eight guests. See World of Hyatt program terms for upgrade eligibility. Our Director Suites are located on the top floor of the hotel and offer expansive views of the city. Ideal for business travelers wanting to conduct meetings in the privacy of their room or those travelling on an extended stay. These luxurious suites offer spacious bathrooms with granite countertops and rainforest shower heads. 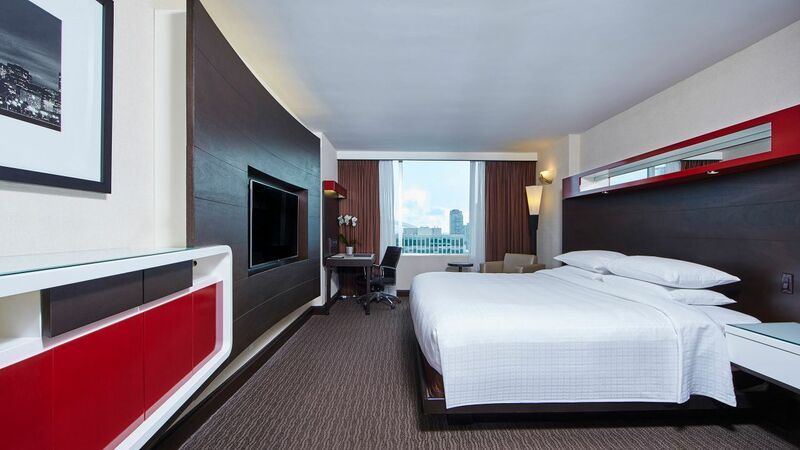 During your stay enjoy a restful night’s sleep in our King-sized Hyatt Grand Bed. See World of Hyatt program terms for upgrade eligibility. 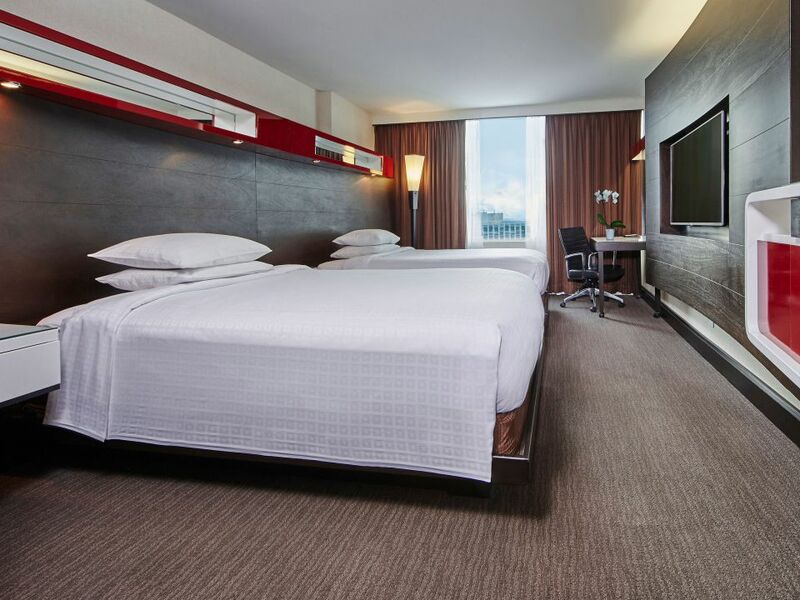 Enjoy every moment of your stay at Hyatt Regency Toronto in a guestroom overlooking downtown. Featuring one plush queen Hyatt Grand Bed® with sumptuously soft bedding, our accommodations are among the city's finest. Contemporary furnishings offer a generous work desk and ergonomic chair, 47” TV and complimentary wifi. 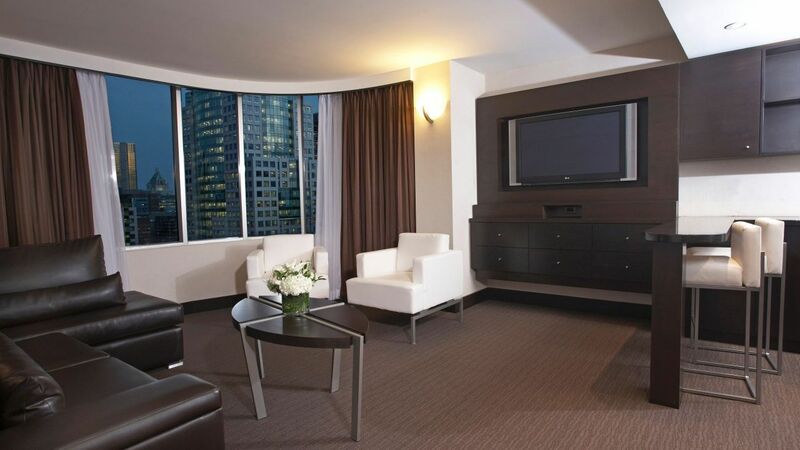 Enjoy every moment of your stay at Hyatt Regency Toronto in a guestroom overlooking downtown. Featuring one plush king Hyatt Grand Bed® with sumptuously soft bedding, our accommodations are among the city's finest. Contemporary furnishings offer a generous work desk and ergonomic chair, 47” TV and complimentary wifi. 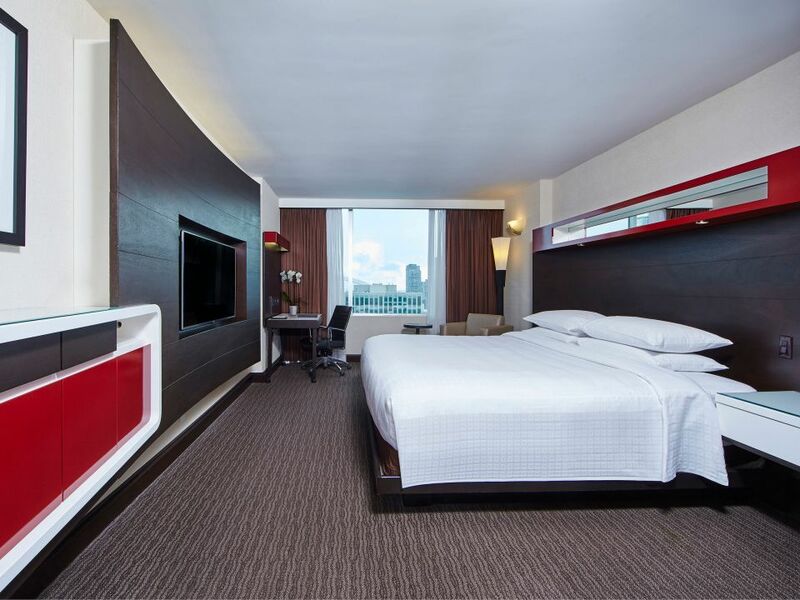 Enjoy every moment of your stay at Hyatt Regency Toronto in a guestroom overlooking downtown. Featuring two plush double Hyatt Grand Beds® with sumptuously soft bedding, our accommodations are among the city's finest. Contemporary furnishings offer a generous work desk and ergonomic chair, 47” TV and complimentary wifi. 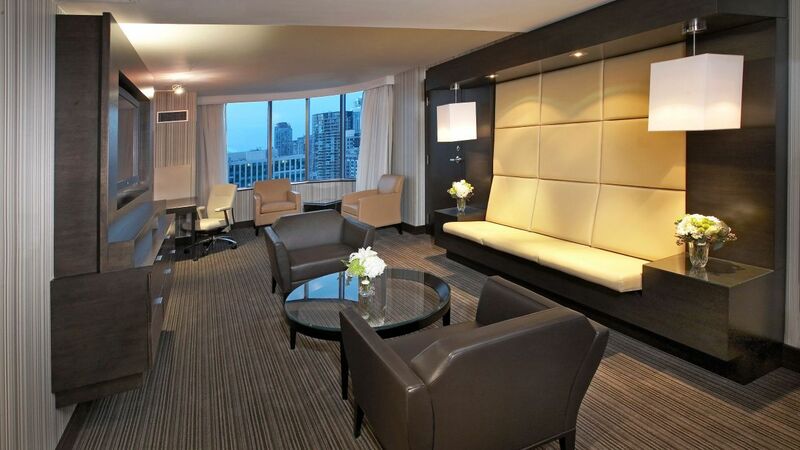 Enjoy every moment of your stay at Hyatt Regency Toronto in a guestroom overlooking downtown. Featuring two plush queen Hyatt Grand Beds® with sumptuously soft bedding, our accommodations are among the city's finest. Contemporary furnishings offer a generous work desk and ergonomic chair, 47” TV and complimentary wifi.